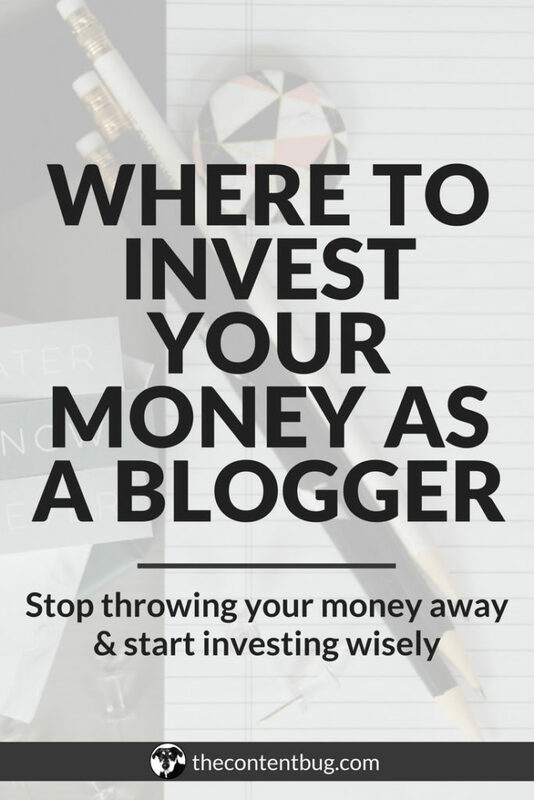 Most bloggers start blogging because they want to make money doing something they love. 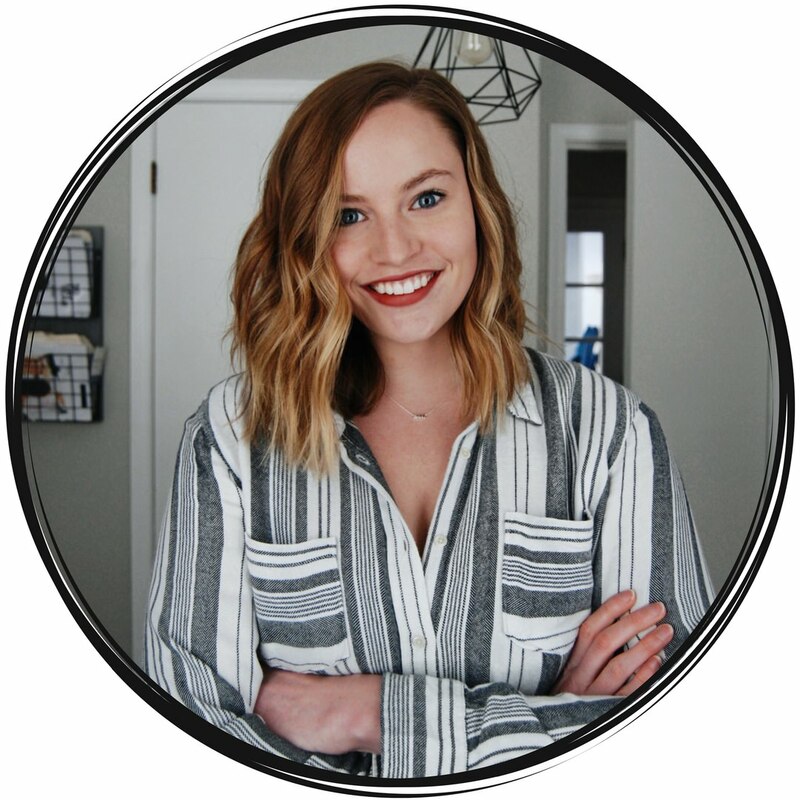 And when you go on Pinterest, you see all these blogger income reports that prove that making money blogging is 100% possible. But it might not be as easy as you think to make a real money with affiliate marketing. From the very beginning, I knew that I wanted to monetize my blog. I just had no idea how to do it! So I did a lot of research about affiliate marketing, programs, and companies to join. And just about all the blog posts I read referenced ShareASale. That was the first affiliate platform I joined. And with very little effort, I’ve made over $600 from affiliate just with ShareASale! Total, I’ve made over $1,000 in affiliate marketing. But half of that has come from only 1 company. So if you’re wondering how you can make more money from affiliate marketing and the strategies I used to improve my affiliate sales, keep reading! 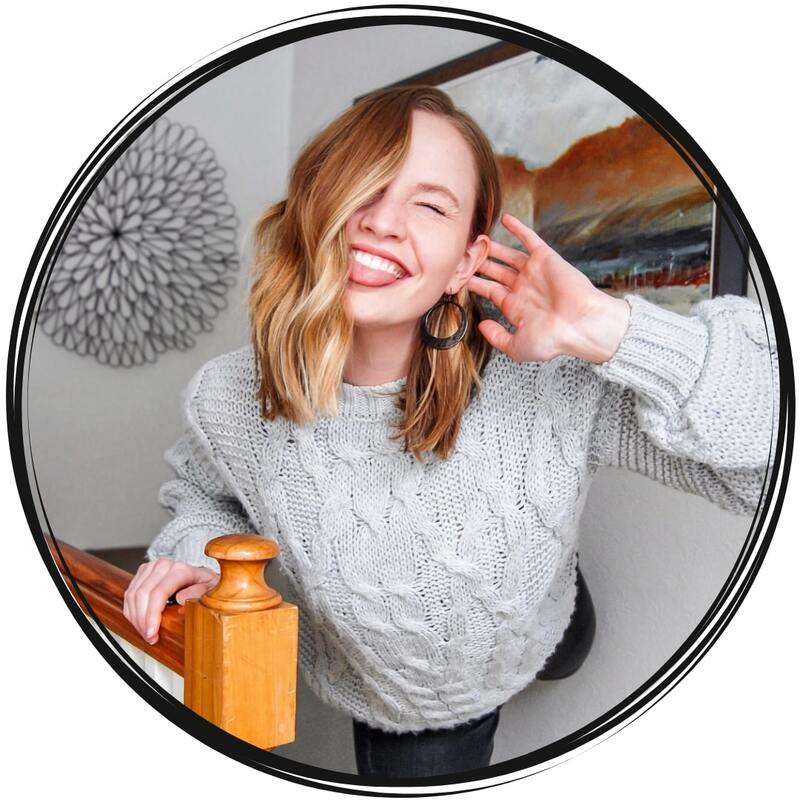 I remember when I first got started with affiliate marketing, it seemed like no one signed up for products and services I recommended through my trackable links. I would get so discouraged when I would check my stats only to find out that nothing was happening! But when I was able to generate a lead and made a whopping $0.50, man I was darn proud! I was so excited to earn that small chunk of change. And I had hopes that they would turn from a lead into a full-time customer resulting in even more money on my end. But before we get farther, I want to say something: I don’t do this for the money. Sure as heck I have to make money to live. But I would never recommend something that I don’t currently use or haven’t used in the past. Every company I am an affiliate of, I’ve used at some point. And I would honestly recommend them to my closest friends if they were trying to grow their success online. So it’s not like I’m just applying to every relevant affiliate network. I’m actually pretty picky! And have turned down companies that want me to promote them through an affiliate program. And since I had that mindset of only wanting to help my readers sign up for the best of the best, when I actually got one of you to sign up, I was freakin’ excited! Because you were actually taking my recommendations! I mean how cool is that to make an actual impact?! If you’re a beginner blogger, you might have heard about affiliate marketing before. Or maybe you’re just starting to dabble into this nifty world. So for those of you who don’t know what affiliate marketing is… let me explain. With affiliate marketing, you recommend companies, services, and products that you believe in to your audience with a specific trackable link. Whenever someone clicks on your specific link and signs up for that service, you receive a small commission for the referral. Now, each company and affiliate platform is different. Sometimes you can make money for someone simply signing up for a free trial. Other times, you only make money when people put their money down on something. And for each company, the rate is different! You could be making $0.50 or you could make $80! It just depends on the company’s program and what the person the person signed up for. I honestly think it’s hard to put a definition on affiliate marketing. But basically, you are considered an affiliate and help to market a company. In return, they pay you for every new customer you bring to them. The truth is, when I got started with affiliate marketing, I had no idea what I was doing. I just included links to the companies I was an affiliate of when I was talking about them in a blog post. I didn’t plan content with the thought that it would drive affiliate sales! It wasn’t until a few months later (after I wasn’t seeing any results) that I started to do some research. 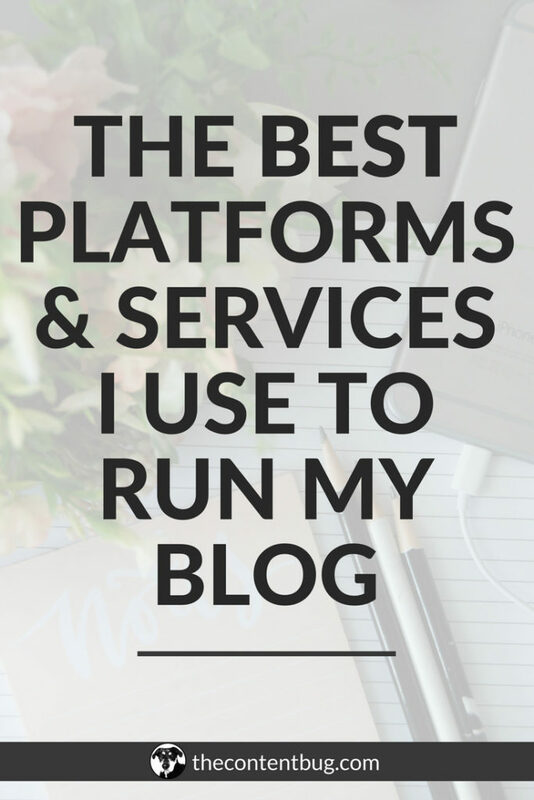 Most bloggers recommended having a resources page. Or for TCB I have a Tools I Love page that includes all the platforms and services I use including the affiliate programs I work with. But remember, these companies would have made it on that list anyways without an affiliate connection. And there are still a lot of tools I recommend on that page that I’m not an affiliate of! And then the other big tip was to write content that would drive affiliate sales. Meaning writing tutorials on how to use certain things or testimonials talking about how a service or platform brought your amazing results. But beyond that, I felt like almost all affiliate marketing advice leads to an online course or ebook. And I just didn’t have the money to invest in that! So I decided to write my own rules and here I am telling you how I made over $500 from just 1 company. I already talked about this a little bit. But when I was getting started with affiliate marketing, I was extremely specific about what companies I wanted to become an affiliate of. And I only applied to companies that I was already using! And I honestly think that this helped for me to drive sales. Because I was so specific, in the beginning, I was only promoting 3 companies. That’s it! So when I wrote my blog posts, I was only talking about the same companies over and over again. PLUS these were services that I actually used! So I already had the proof that these platforms worked. All I had to do was share it with my audience who was looking for services like it! This is huge. And everything after this revolves around creating amazing content that can drive sales! So from the beginning, I really wanted to talk about my growth on Pinterest. Because honestly, I was so impressed with how fast I grew and the results it was bringing to my blog that I just had to share. I wrote a couple blog posts talking about Rich Pins and Pinterest SEO. But then I started to share my own case studies. People wanted to see how I did things. 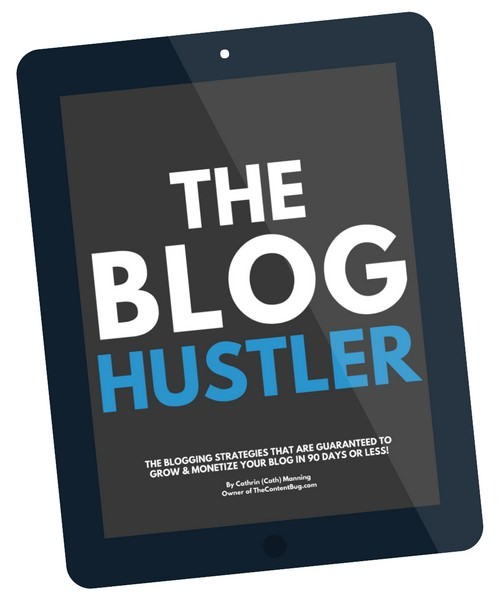 They wanted the strategies that actually worked so they could do the same: grow their blogs! On Pinterest, there are a ton of blog posts that say “The 1 Tool You Need To Grow Your Pinterest” or “The Best Platform To Start A Blog”. But most of those pins are just affiliate links that lead to whatever platform they are talking about. There is no valuable information. There is nothing to convince someone that it’s the best platform to use. They are just hoping that you believe them. And for the most part, I like to think that these pins aren’t that profitable! When I create a blog post that promotes an affiliate link, I make it extremely informative. The main goal is to inform. Not to appear like a salesperson. So I’ll write over 1,500-word blog posts and at the end, I’ll talk about the affiliate I want to promote. Or if it’s important, I’ll talk about it almost the whole way through the post and then at the end include the free trial for someone to get started. The most important part is to make someone feel as though they need something to get the same results you did. And when you honestly love a product, this doesn’t feel salesy or spammy at all! My favorite affiliate programs to be a part of are the ones that offer a free trial. That way, you can get a lead in the door and hopefully convert them once they see what they are getting into. Plus, people are more likely to sign up for something using your link if it’s free at first. If it’s immediately paid, it’s going to take a lot more work to get people to sign up. So when you’re trying to promote a service or company that you are an affiliate of, make sure you know all the free trial information and include that when you are talking about it! Now I understand that not everyone is going to have this opportunity. If you are a fashion blogger, recommending a free trial is probably rare! So what you can do is recommend things when they are on sale! Anything to save people a couple extra bucks will do the trick to make them pull the trigger on buying whatever you’re recommending. Once the content was written and the free trial was placed as bait, I made sure to do an AMAZING job with the SEO. I mean, with every single blog post, I stress the SEO. This is never something that I overlook. But with these blog posts in particular, I paid close attention to the title of the post, the meta description, the relevant keywords in the body of the post, and of course, I paid special attention to my description for my pin on Pinterest. Now, one of my top performing blog posts on Google is actually an affiliate post I wrote. In just the last 90 days, it’s generated 418 clicks. Plus it’s my top performing pin on Pinterest! But we’ll talk about this in a bit. 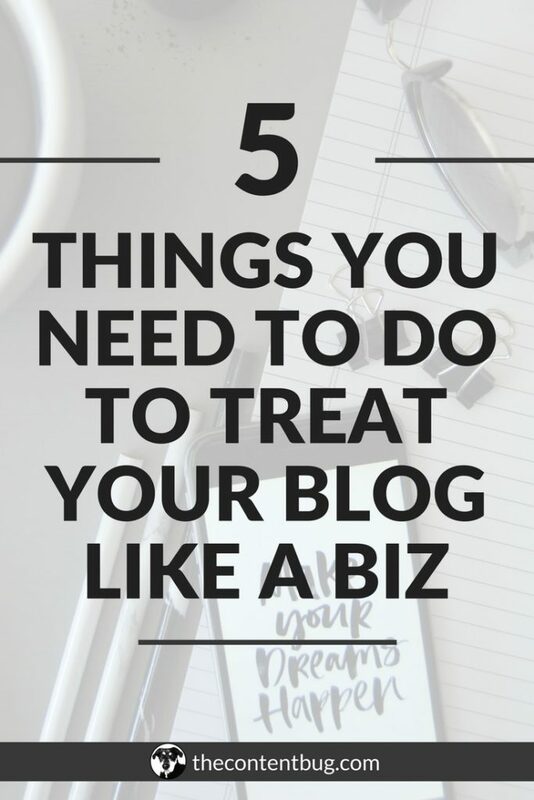 There is no point in writing a blog post if you aren’t going to promote it on social media. I’m trusting that you know better by now! But with my affiliate specific blog posts, the first thing I did was turn to social media to share the post. They went on Pinterest, Twitter, and I specifically promoted them on Instagram in posts and on stories. In my opinion, Pinterest is always the most profitable when it comes to driving traffic to your website. And that was my main focus. Not only did I share it on my TCB Pinterest board and all other relevant boards I had, but I also shared on the group boards that were appropriate! And then an extra special tip… On Twitter, I tagged the company that I talked about in the tweet. Then scheduled 3 more tweets to go out with the post linked and tagged them. That way it got their attention. I’ve been pretty lucky with my affiliate managers! For each of the companies I work with, all of my managers have been extremely nice and receptive to my emails and questions. So for this 1 particular company that I made over $500 from, I sent them an email sharing the 3 blog posts I wrote that included their company. And you want to know what happened? They shared my post on Twitter, Pinterest, their blog, and on Instagram. And they even took it a step further which I’ll talk about in #7. But I also did this with another company that I’m an affiliate of. And with them, they actually increased my commission by $20 per sale! So if you’re wondering how you can make more affiliate marketing money, reach out to your affiliate manager. If you’re nice and create great content, they’ll probably want to work with you. Yeah. So you know how I talked about how that 1 company shared my blog posts on their social media channels? Well, they actually did a bit more than that. They actually paid to promote my blog post on Twitter and Pinterest! When it first happened, I didn’t want to tell anyone. I mean, most of what I was talking about on my platform was how to grow your blog. But I felt like I cheated in some way by having another company pay to promote me. But now, looking back, I wish I would have shared this sooner because you might be able to get the same thing to happen to you! And free paid ads are always a win in my book. So what happened is that by reaching out to them with the blog posts I had written, they decided to pick up 1 of the posts and create an ad for it. And Pinterest was the most profitable. Within a month, my pageviews spiked and so did my affiliate sales! They ran the ad for what I think was 3 months. Which I’m not gonna lie is a REALLY long time! And I forever grateful that they went out of their way to promote one of MY blog posts. But just like all good things, the ad eventually stopped. And even after it stopped, the page views and affiliate sales continued trickling in! 8. Generated social proof that my strategies work! Now I understand the last tip probably seemed a little bit out of your reach. It’s not something typical that you can just go and do on your own. But this one is! When I launched The Blog Biz Bundle, I knew that I had to have social proof that my strategies worked. I needed real people, with real results. Thankfully, the TCB community is pretty amazing and I was able to get real testimonials before the launch of my course. But with blog posts, it’s a little different. At the end of almost every blog post, I include a call-to-action to lead people to the comments section. I ask for opinions or their suggestions on a certain topic. And sometimes, I even ask what works for them and if the strategies I recommended worked for them. My most profitable blog post has over 65 comments with people sharing how my strategies have worked wonders for them. I also have emails from people with screenshots of their statistics since they implemented my strategy. This social proof is great to help land affiliate sales. Because sometimes, it’s not enough for someone to just read your strategies and believe you. They want to see what other people think. That’s why we all love and trust reviews! Now not all of those 65+ comments were cases of social proof. A good chunk of them were actually asking questions about the tips and strategies I recommended and about the specific product I was referring to. And when this happens, it’s extremely important to be receptive to questions and respond quickly! If people want more information, it means that they are interested! Don’t lose their interest by not responding. That’s just poor PR. A few months ago, I started to get into manifesting. I feel like it’s the buzzword these days that everyone is talking about. So I decided to read Think and Grow Rich to learn a little bit more about this whole manifesting thing. Then, I started to manifest money. 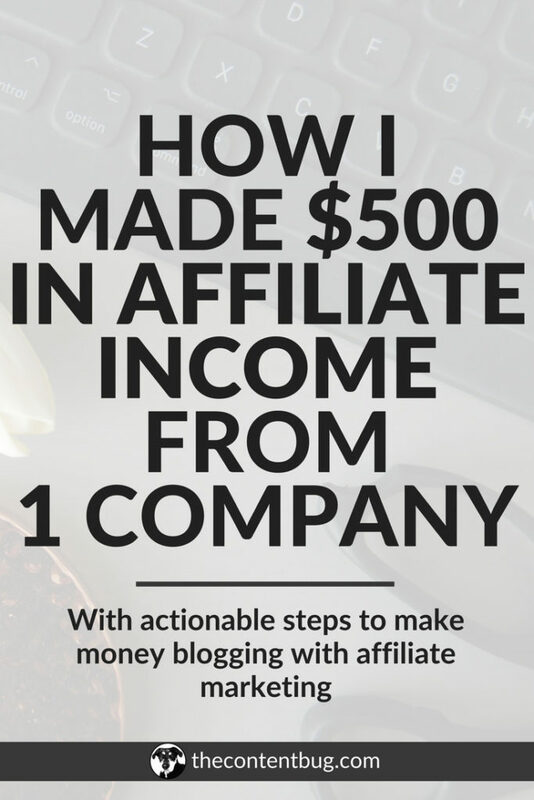 Starting with affiliate income. And I was specific. I was trying to manifest $200 a month in affiliate income by August of 2018. The first month I started to take manifesting seriously, I manifested $200 in affiliate income. It was surreal. Honestly, I thought it was super weird. 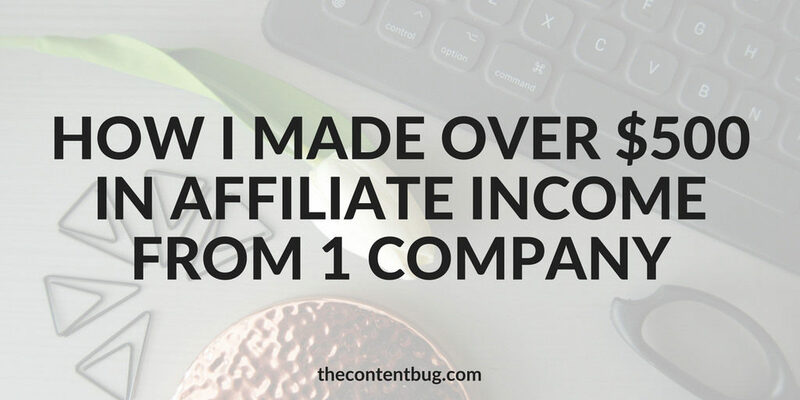 Before that, I was making about $50 a month in affiliate income. But then I jumped to $200 in just 1 month! Now that’s crazy. So for the last step, I want to tell you that at some point, you have to realize that you’ve put in all the work that you needed to. And you just have to sit back, manifest it, and let it all happen. Making money with affiliate marketing isn’t going to happen overnight. Actually, it’s going to take a decent amount of time. It took me months to make any real money with affiliate income. And now, I’ve made over $500 from just 1 company! It’s crazy! So if you’re looking to land your first $500 with affiliate marketing, I suggest you try some of these strategies. And if you do, let me know in the comments section down below! And even if you don’t try these strategies, let the TCB community know what strategies have worked for you! These seems like some great strategies to try and implement. I have been an affiliate marketer for about five years now, and i have never made $500 from any company. I will definitely try these great strategies that you have written in this article. And I will let you know how it goes.